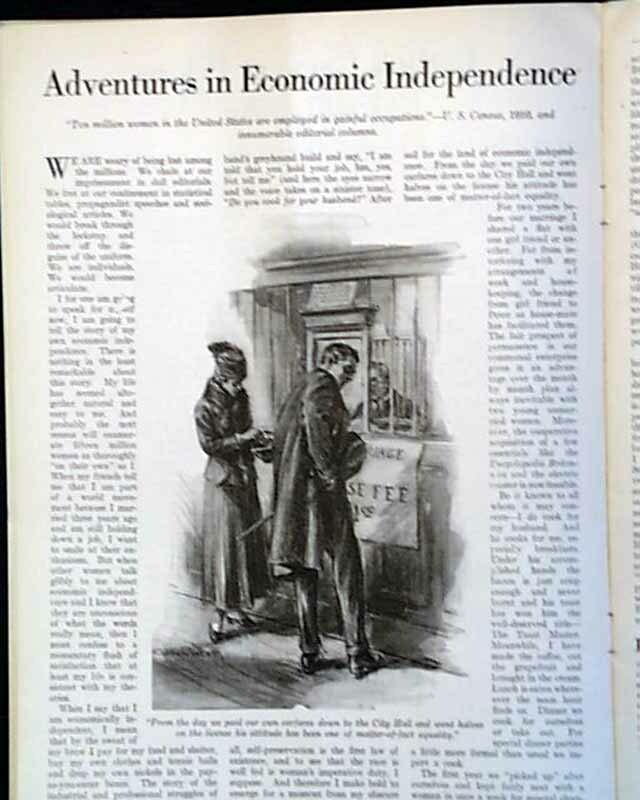 This issue has a color cover page before the title page which has an illustration titled "'Stick Around'" by Morris. 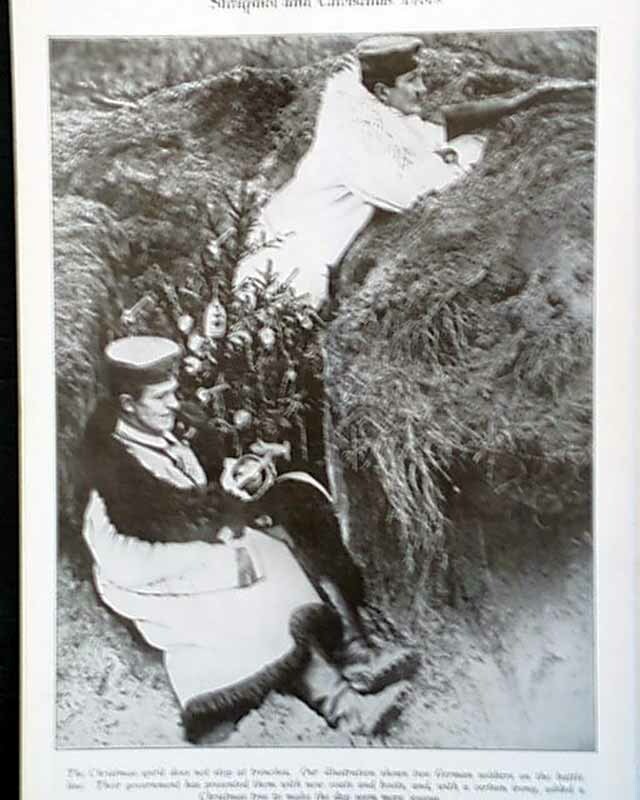 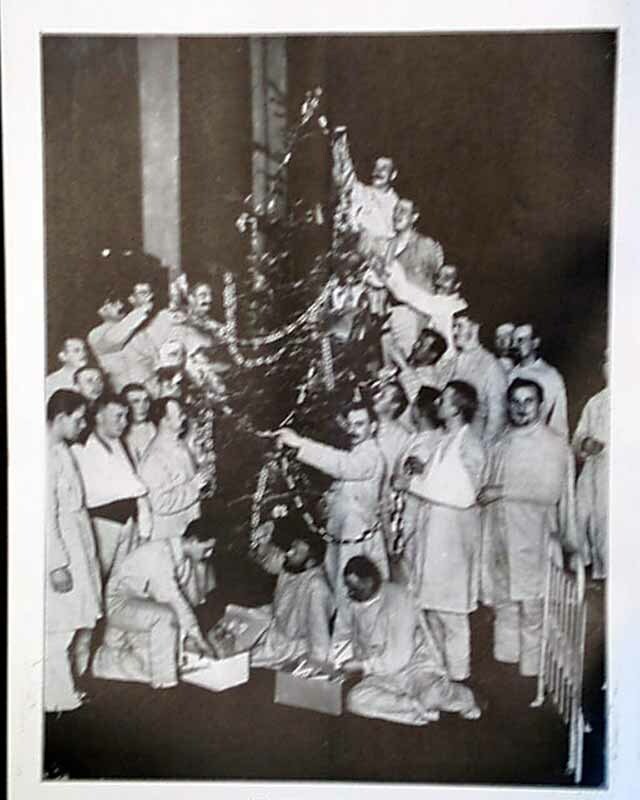 On the back of the cover page there is a photo of "Christmas in Berlin." 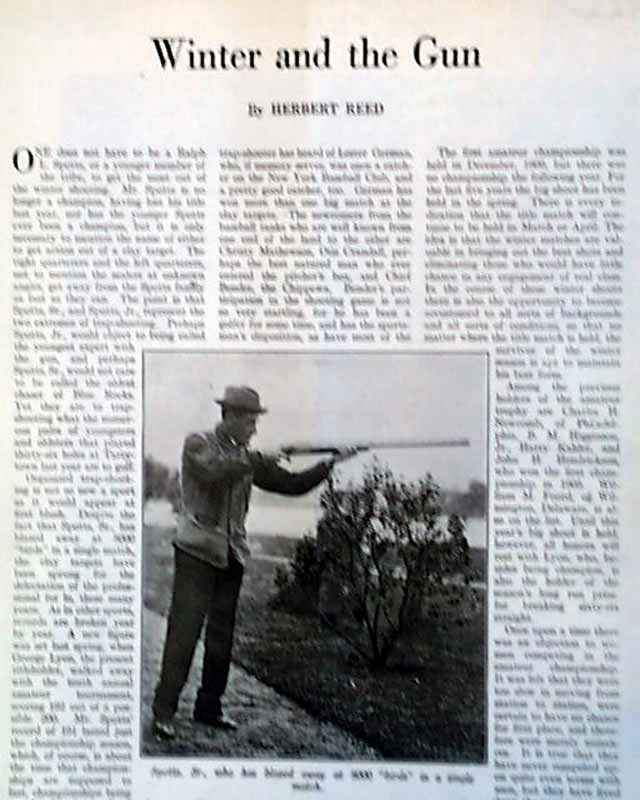 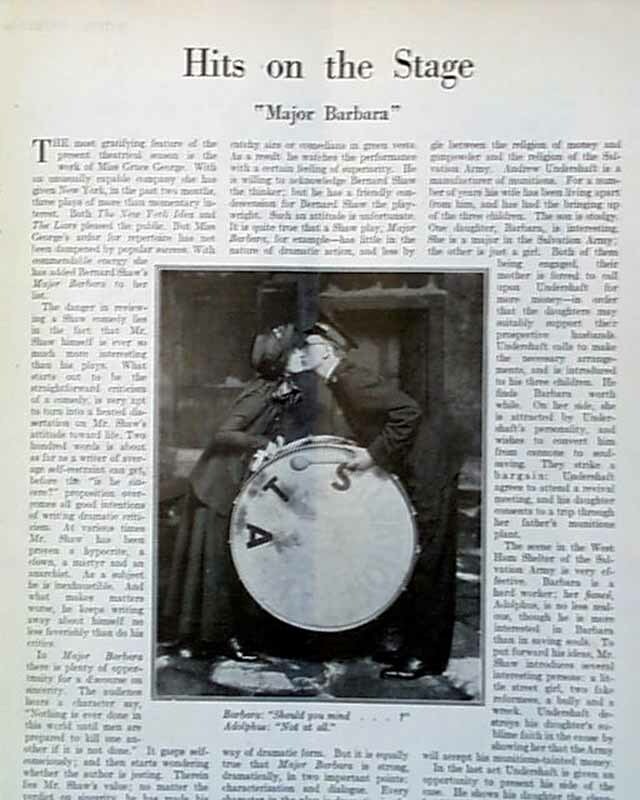 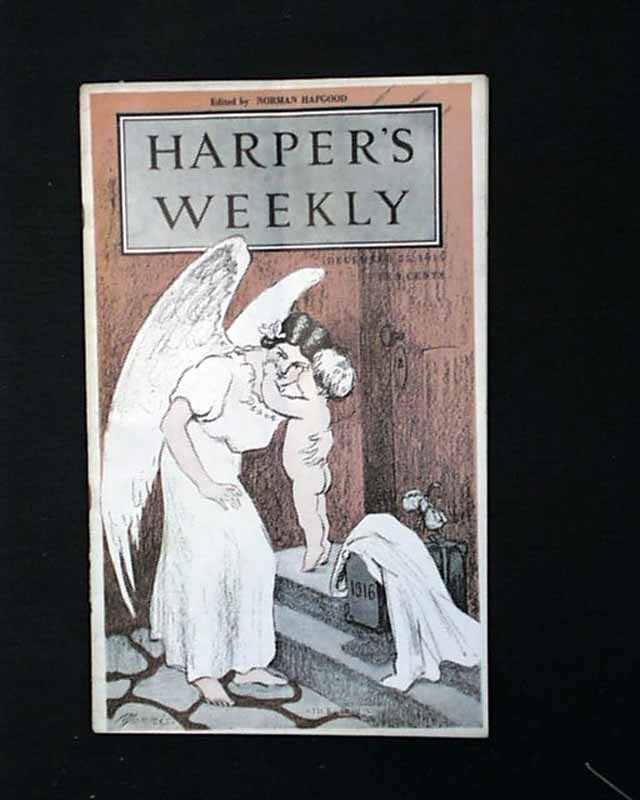 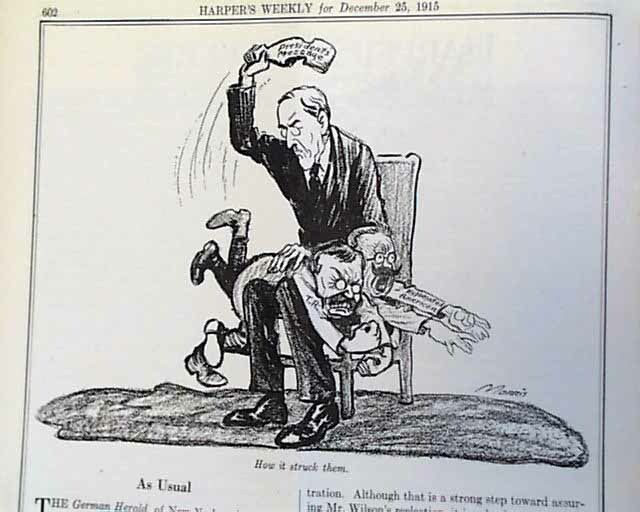 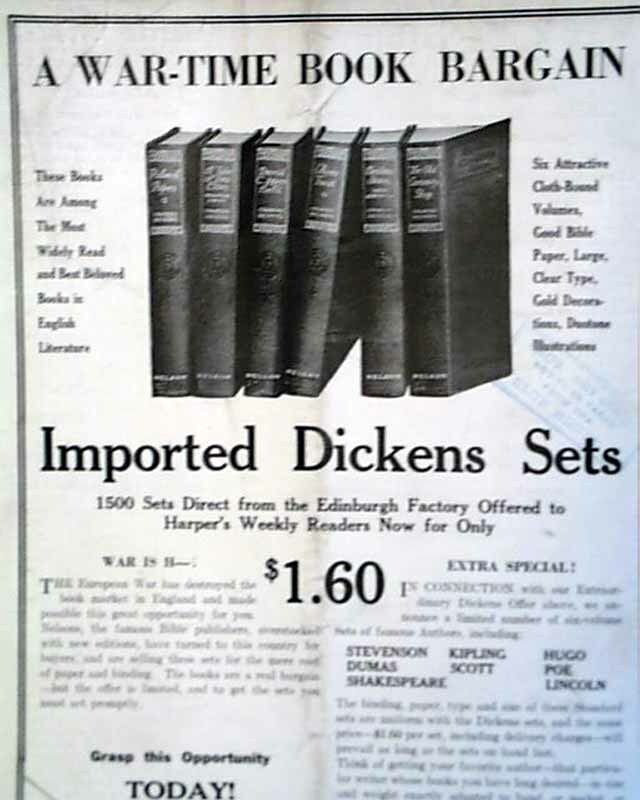 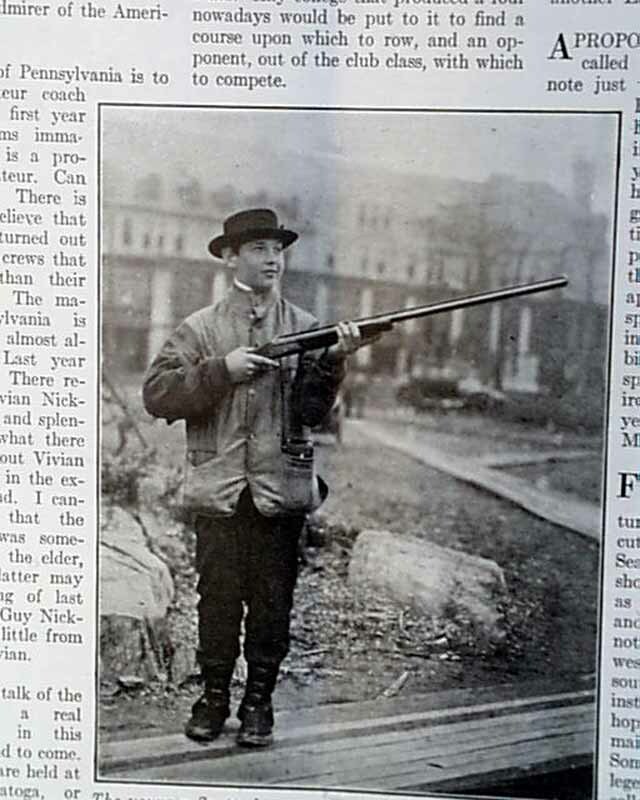 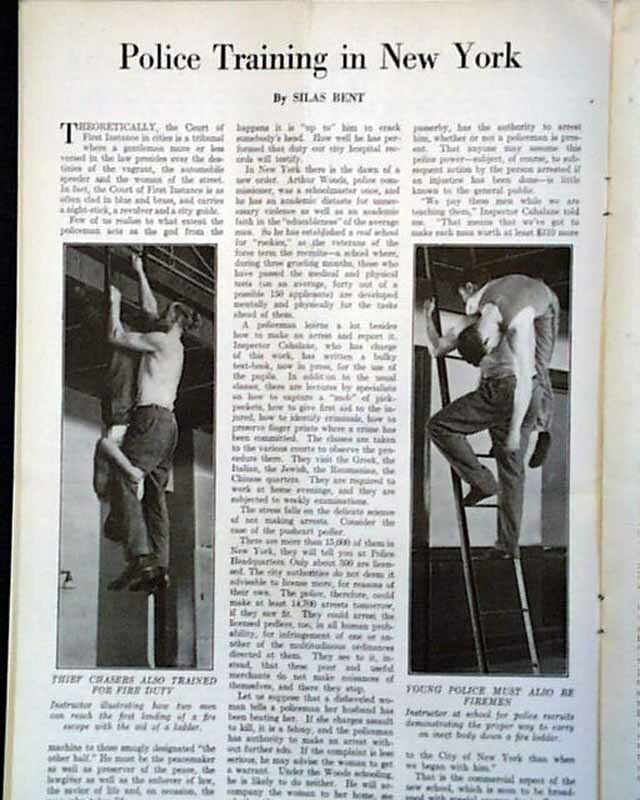 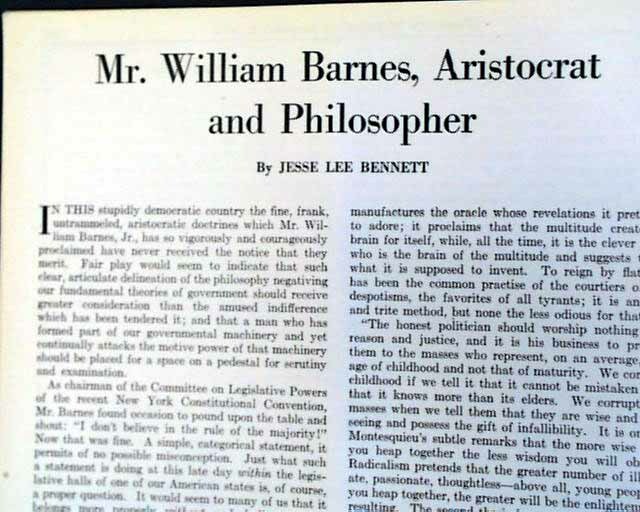 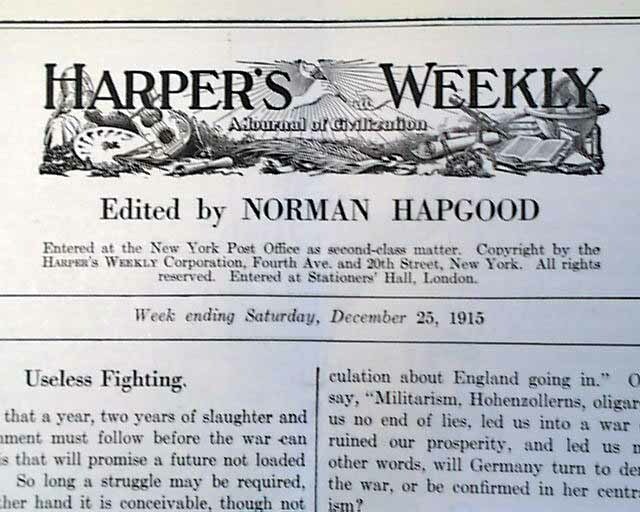 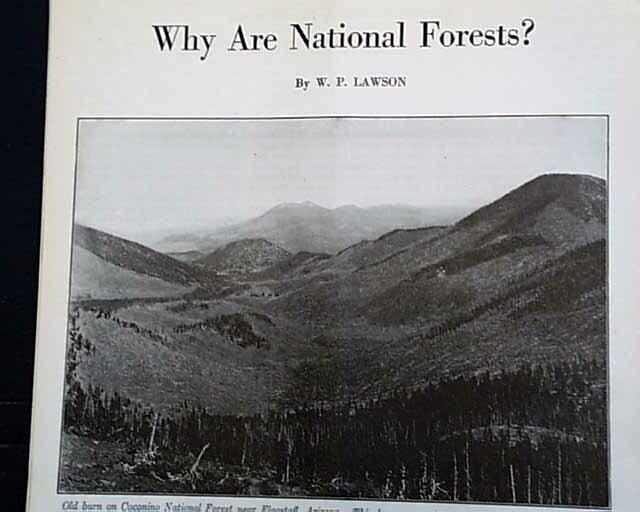 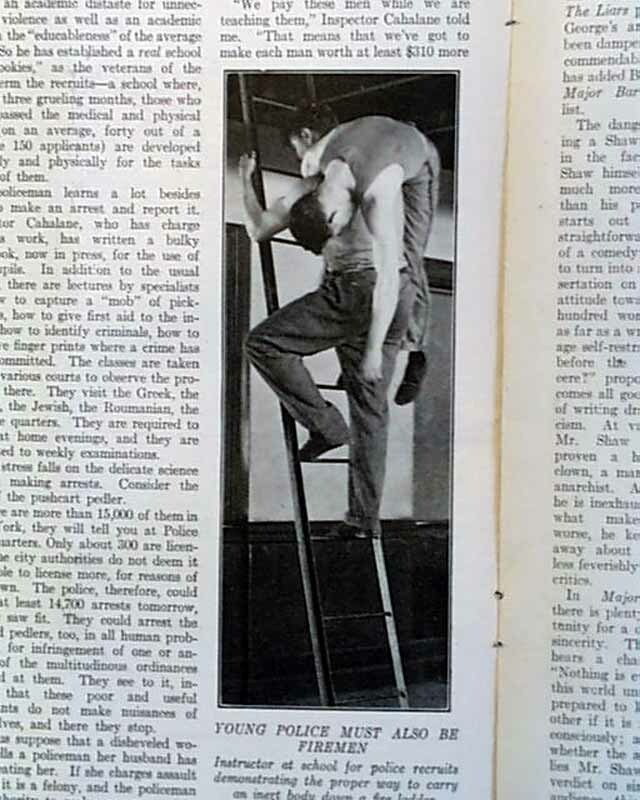 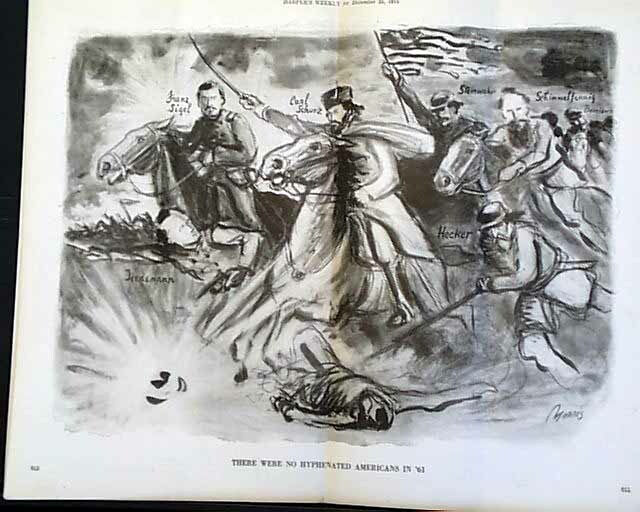 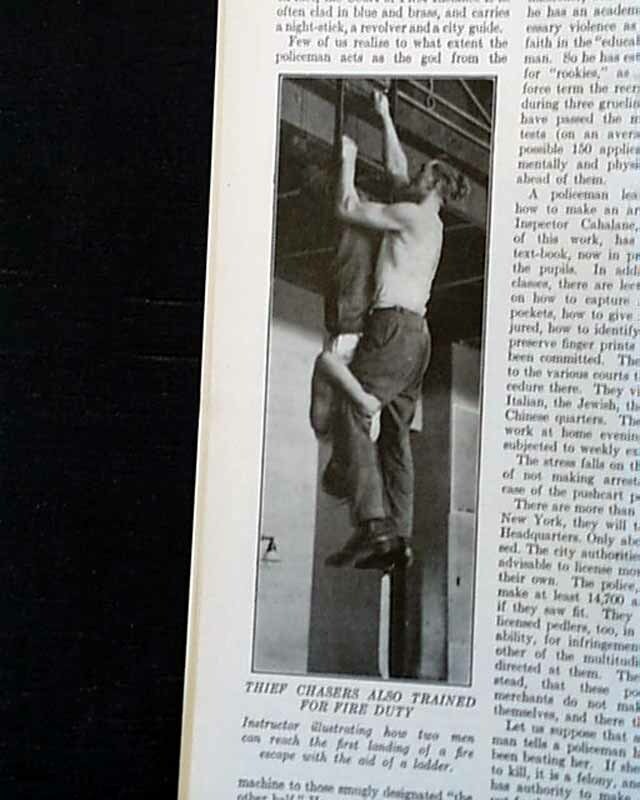 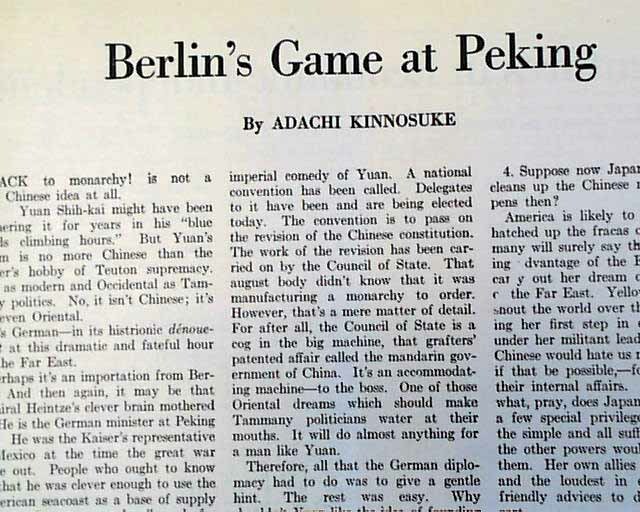 In this issue, there are several articles including "Mr. William Barnes, Aristocrat and Philosopher" by Jesse Lee Bennett; "Berlin's Game at Peking" by Adachi Kinnosuke; "'Police Training in New York" by Silas Bent; "Hits on the Stage"; "Winter and the Gun" by Herbert Reed; "Why Are National Forests?" 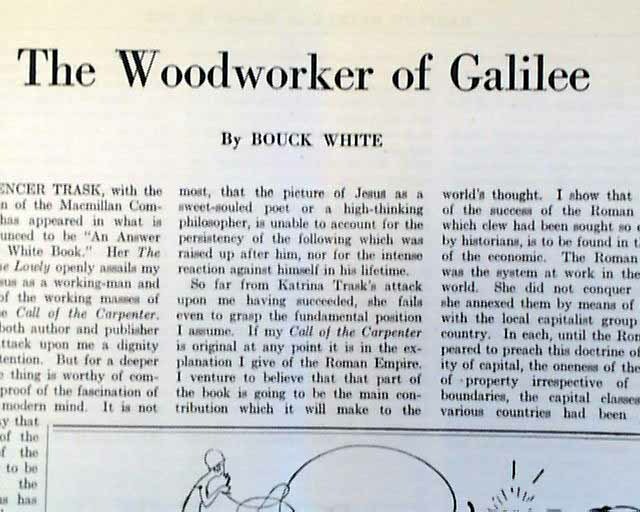 by W. P. Lawson which includes several photos and "The Woodworker of Galilee" by Bouck White and much more. 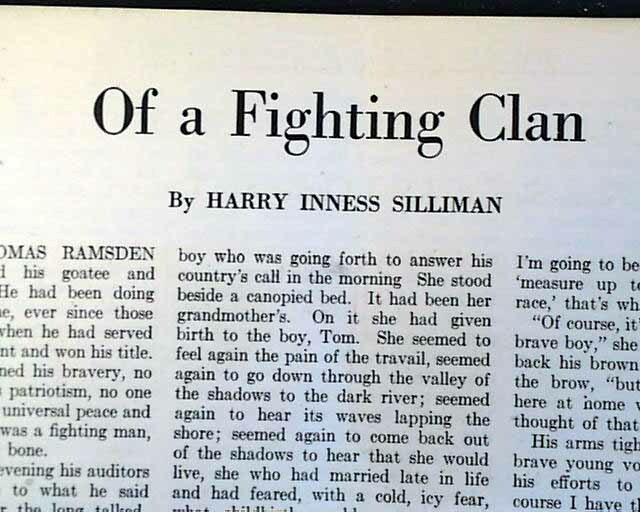 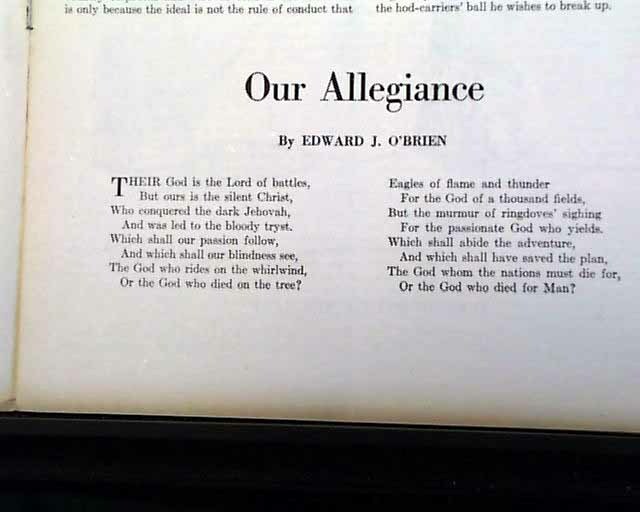 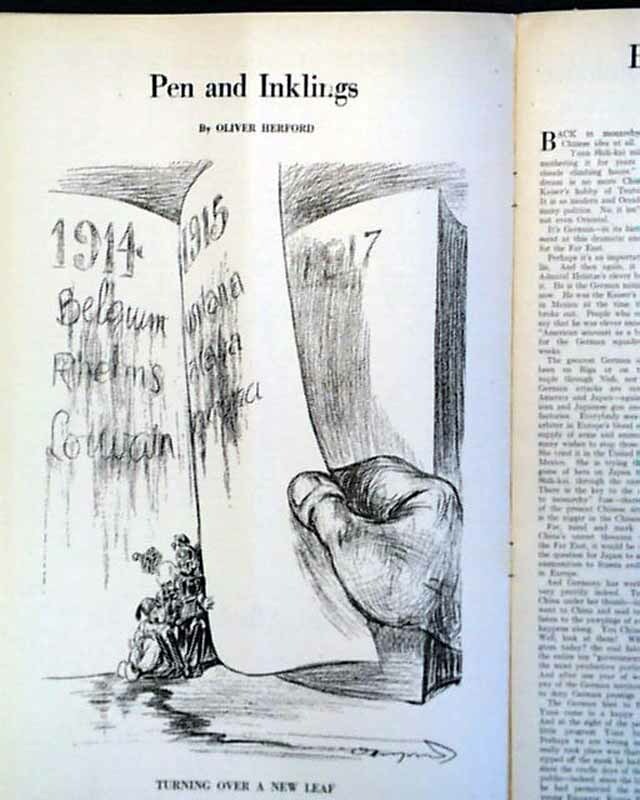 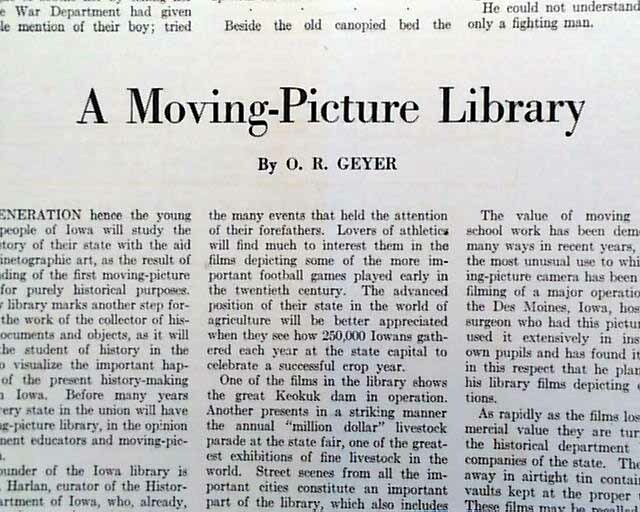 There are also several illustrations in this issue including "Pen and Inklings--Turing Over a New Leaf" by Oliver Herford and the double page centerfold illustration which is titled "There Were No Hyphenated Americans in '61" by Morris. 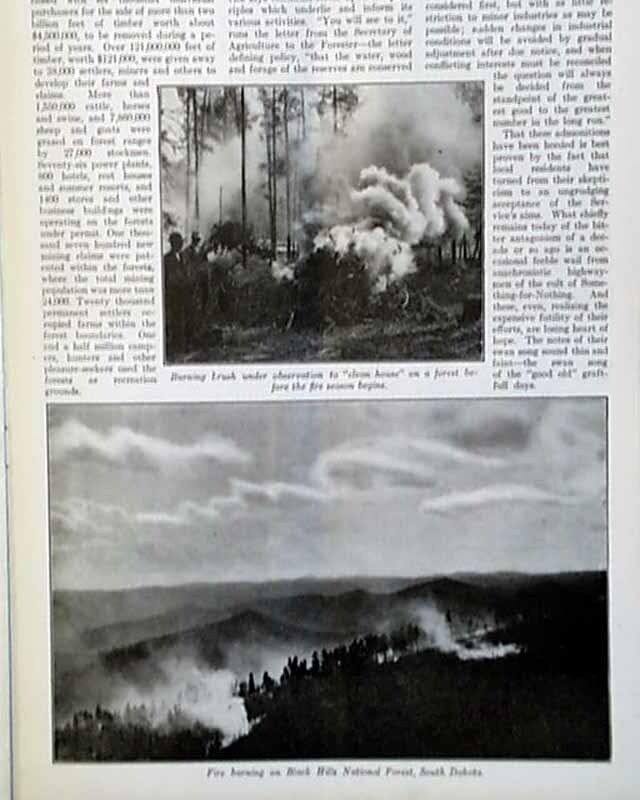 There is also a full page photo titled "Shrapnel and Christmas Trees."